Julianne Beck is a freelance writer covering Chicago-area conservation. Home gardeners can sympathize: not every seed that is planted grows. This truth extends to restored prairies that are grown from seed mixes, according to Rebecca Barak, Ph.D., who completed research this year examining the success of individual species within seed mixes, and their combined potential to power up to the diversity level found in remnant prairies. Urban and agricultural development has left us with less than one-tenth of one percent of prairieland, which is vital part of our ecosystem. 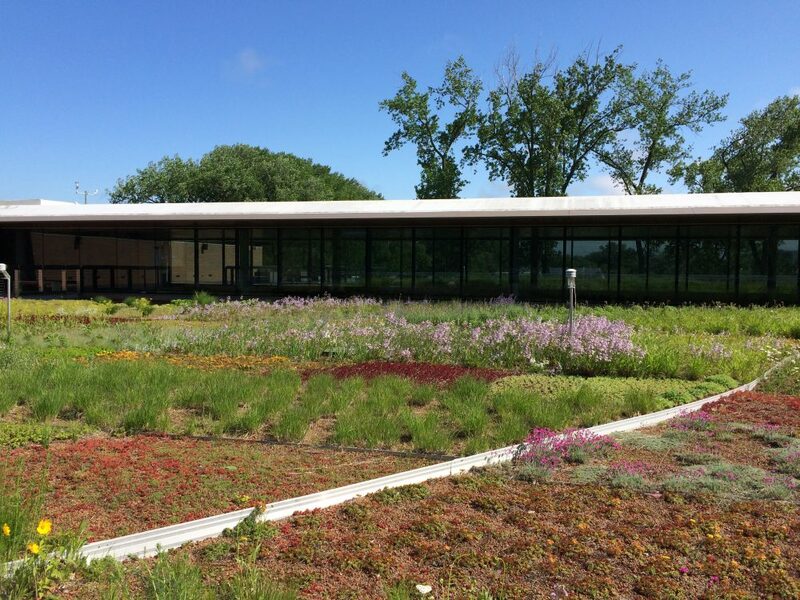 Today, the prairie can be found only in small patches, and scientists at the Chicago Botanic Garden study prairie plants and their chance for survival amid changing climates and landscapes. For Dr. Barak, a key question is what restored plant communities will look like. 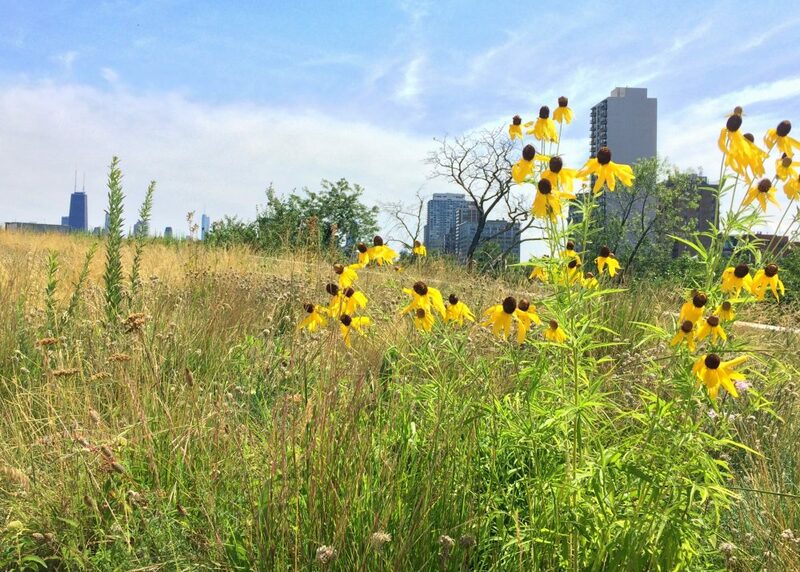 Restored prairies can and do grow in all kinds of places, according to Barak, who conducted fieldwork at dozens of sites within an hour or two of Chicago. 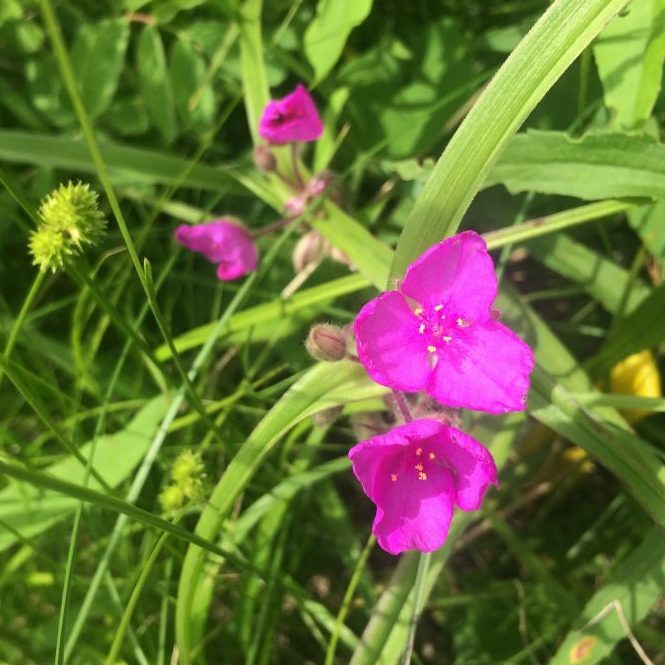 From a small playfield behind a nature center to the grounds of a temple to a large swath of acreage in the suburbs, she and her team visited each restored prairie site to compare the plant communities to the mix of seeds that were planted there initially. “I studied that on the ground—how do prairies differ, how do seed mixes become prairies, and how can we tweak those seed mixes to improve diversity outcomes for restored prairies,” explained Barak, who recently earned her doctoral degree from the Chicago Botanic Garden and Northwestern University and is now a post-doctoral researcher in a joint appointment between the Garden and Michigan State University. To conduct her fieldwork, she outlined a 50-meter-long transect in each study prairie, and marked off a large circle every 5 meters along the way. 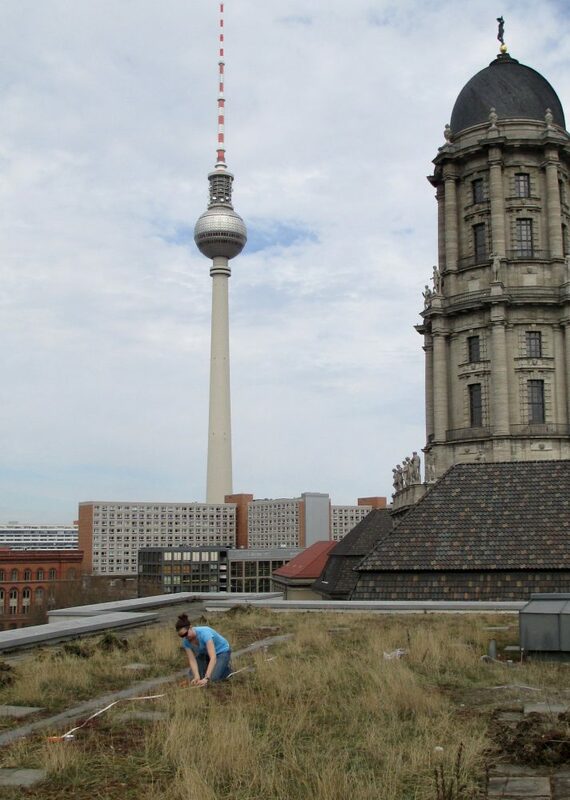 Within the circle, she and her collaborators counted all the plant species they could find. They compared those notes to a walk-through of each site months later as bloom cycles changed. A native of the Chicago suburbs, Barak made unofficial discoveries that warmed her prairie-loving heart. “I’ve lived here almost all my life and there were all these preserves that I didn’t know about,” she said. Small corners of the city were transformed into lush green spaces, such as the Burnham Wildlife Corridor. Suburban sites such as Orland Grassland were larger and more delightful each season than she anticipated. After summer months spent documenting and counting, she compared the list of existing plants to the list of seeds that were planted from the original seed mix. She found that less than 50 percent of the species diversity survived from seed to plant. “A lot of species are lost along the way,” she noted. 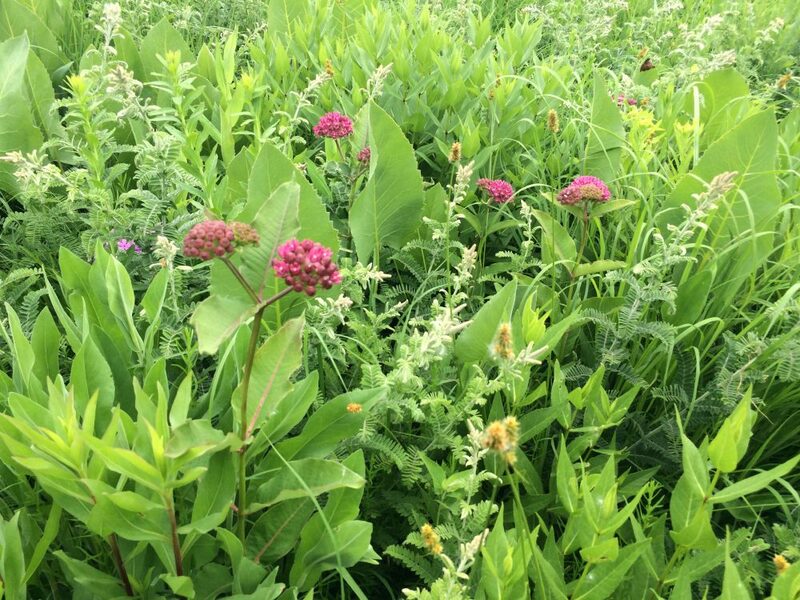 The plant mix within the restored prairies was then compared to historical data from 41 remnant prairies across Illinois—sites that had never been altered for other purposes. 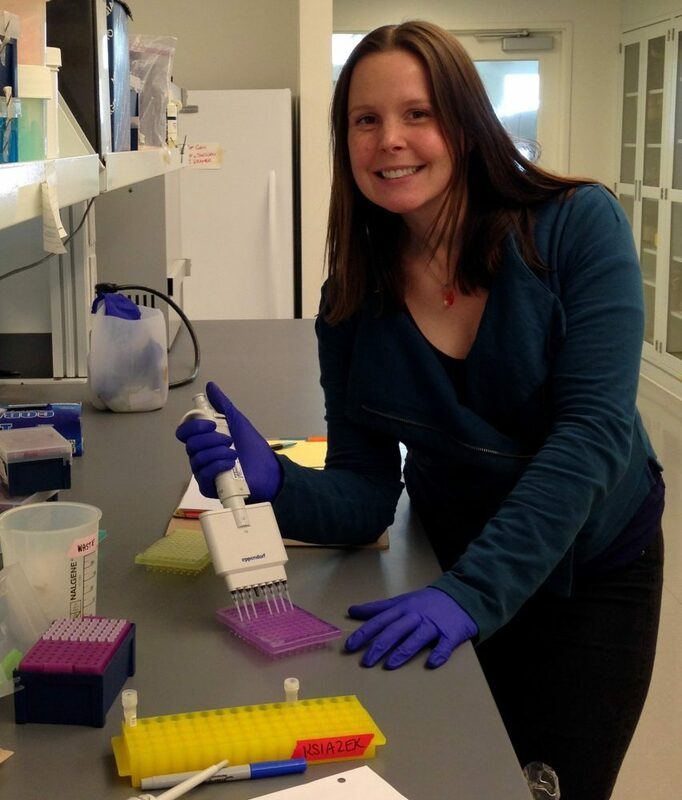 In addition to her findings about the success rate of seeds planted in restored prairies, “I found that species in restored prairies are more closely related to one another than species in remnant prairies,” said Barak. The David H. Smith Conservation Fellow is not only tuned in to the number of species found in each prairie, but also to how well they represent a variety of evolutionary threads. “We think about how spread out plants in the prairie are across the evolutionary tree of life. Maybe, if you are getting more branches on the tree, your community will function better, or differently,” she noted. “When we look at remnant and restored prairies, we find that there are differences in biodiversity and there are opportunities to increase diversity of restored prairies. In order to do that we have to think about the seed mixes that are being used,” she added. In doing so, Barak anticipates that a higher level of diversity will support more functions like serving as habitat for pollinators. 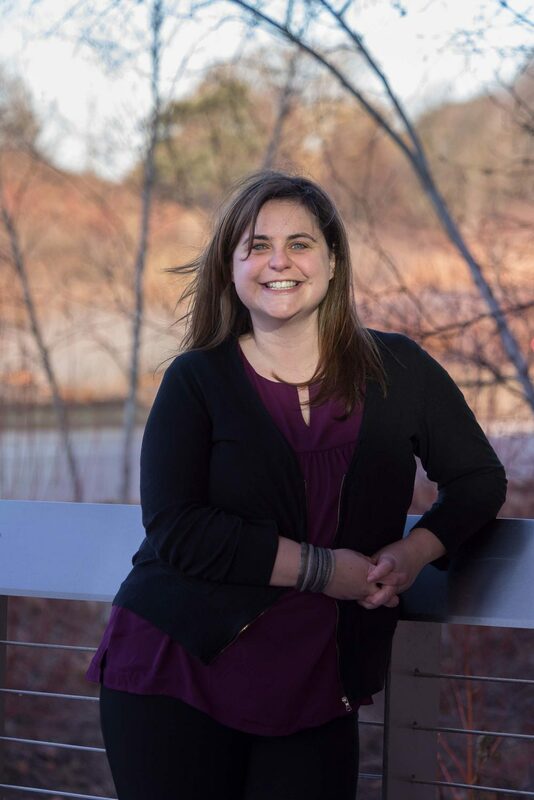 Her detailed findings will be published this August in the Journal of Applied Ecology. On a walk through the Chicago Botanic Garden, you are likely to encounter dozens of woody plants—short, tall, flowering, or simply lending structural beauty to a landscape. It’s OK to have a favorite. Phillip Douglas, the Garden’s new curator of woody plants, is not shy about listing his top picks. Spending his first summer in Glencoe, Douglas is especially taken with the variety of oaks at the Garden. The horticulturist points out the deep purple leaves on the English oak tree (Quercus robur ‘Purpurascens’) in the meadow east of the English Walled Garden, and the cutleaf emperor oak (Quercus dentata var. pinnatifida) growing near the road south of the Regenstein Learning Campus. Kindred Spirit hybrid oak (Quercus × warei ‘Nadler’). Photo by Joshnadler [Public domain], via Wikimedia Commons. 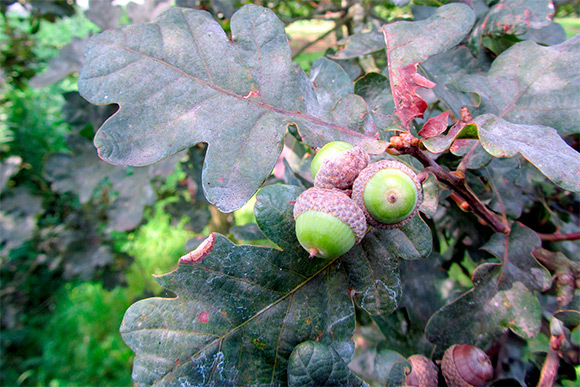 Douglas credits his fascination with the oak species as his entry point into the field of horticulture. During an internship at the Boone County Arboretum in Kentucky, “I started getting interested in oaks, started collecting oaks for my house, and the obsession grew from there,” he said. The outdoors has always been a part of his life, from growing up in Kentucky close to water and woods, to his years as a Marine. His transition into horticulture felt natural, he said. Douglas is eager to share his knowledge with Garden visitors and to help build the woody plants collection. 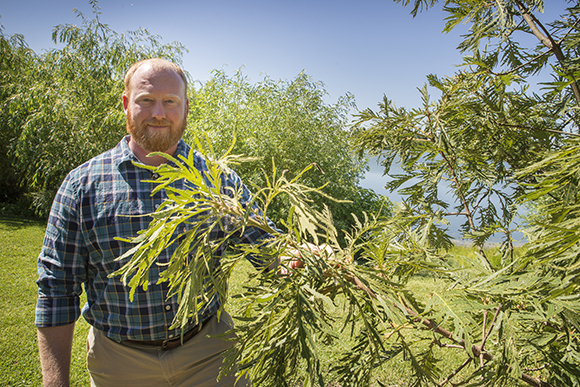 “Woody plants fulfill such a role for us and for the environment,” he said. “They provide so much for us, and they really fulfill an important niche in our landscapes.” The benefits of such plants include providing shade, reducing storm water runoff, and providing habitat for animals and insects. Among his first projects are the development of the oak and willow collections, and a review of all such plants already on-site. Douglas will also be helping to organize trips to collect plants in the wild with Andrew Bunting, assistant director of the Garden and director of plant collections. Collecting trips are planned for the summer and then fall to domestic and international locations with similar growing climates to Chicago. The Garden’s new curator of woody plants, Phillip Douglas. Back in his office in the Horticulture Building, Douglas is surrounded by plans for the near future. On the desk sit outlines for wild-collecting trips. Just outside of his window, construction continues on a new garden. His first months in Glencoe have been both overwhelming and energizing. “I like the variety of the things that I get to do, and I’m excited to help develop the collections and to add to the Garden,” he said. 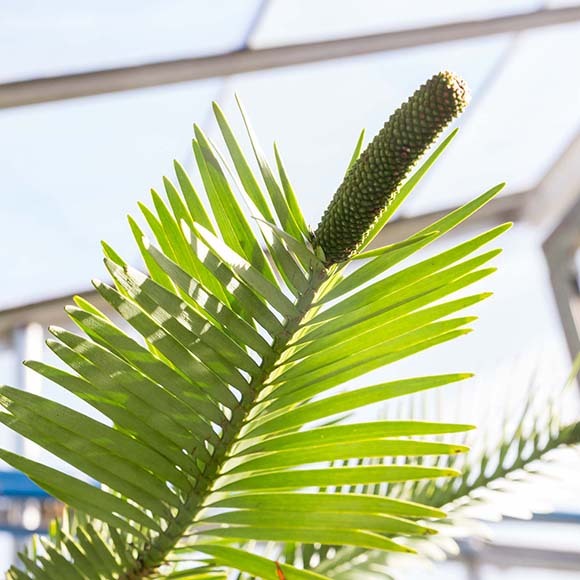 The dinosaur of the plant kingdom, a Wollemia pine tree (Wollemia nobilis), has surprised horticulturists at the Chicago Botanic Garden with a burst of promising male and female cones this winter. In Glencoe, the sole tree spends its winters in the carefully controlled environment of the production greenhouse. In the wild, its relatives are clinging to life on remote sandstone gorges in the Blue Mountains of Australia. “It is probably the most watched plant in the Garden right now,” said Boyce Tankersley, director of living plant documentation. Little is known about the prehistoric species that is part of a genus dating back 65 million years. 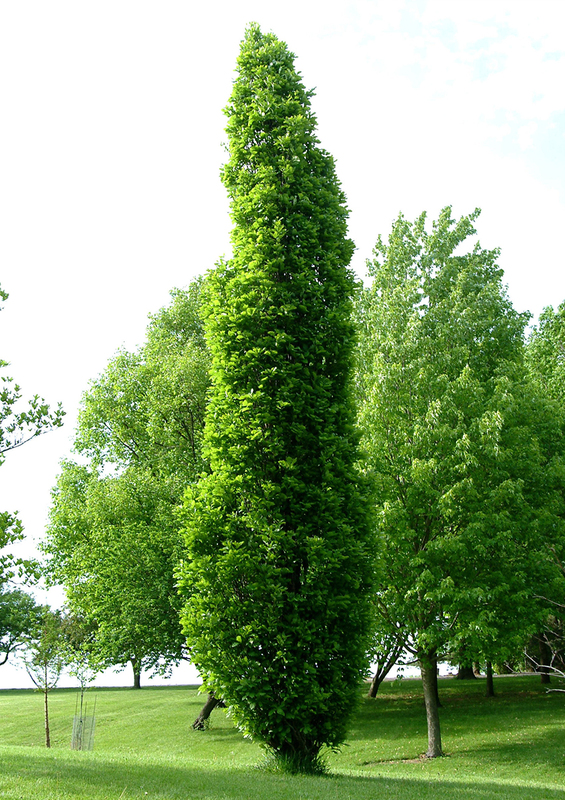 The Garden’s specimen is a youthful 8 years old, and is just beginning to show off its unusual characteristics. “In this case, there is such little information in the literature,” noted Tankersley, who was amazed to see both male and female cones emerging from the tree’s branches earlier this year. “We don’t know enough about this plant to know if it is going to set seed…but at least it is producing cones, which will allow us to try some experiments,” he said. The tree has grown male cones in recent years, but this is the first year it has produced any female cones. Scientists do know that the species that has managed to survive the test of time possesses some unusual adaptations. It can generate new seedlings by dropping specific branches that take root, or it can exchange pollen from male to female cones to generate seed. At the Garden, scientists plan to pollinate the tree when the time is right. They will use pollen from the tree itself, and if available, pollen from a tree at another botanic garden. They will also reserve pollen for a potential future exchange. 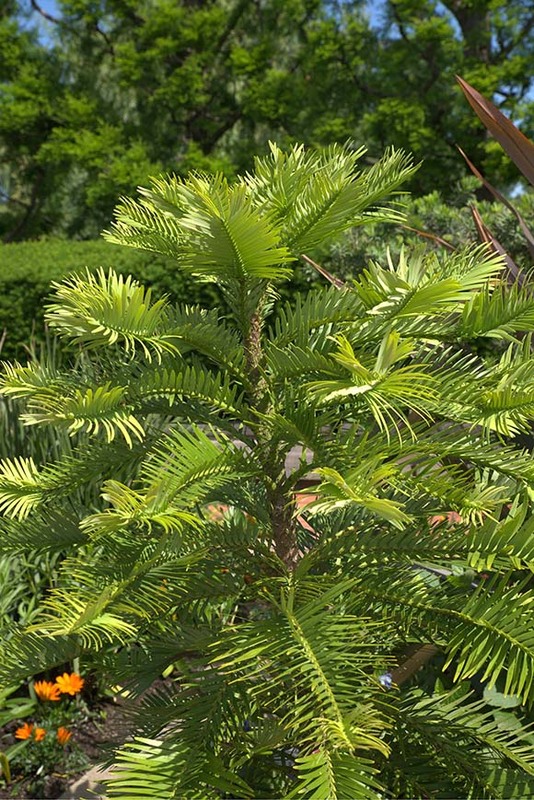 Find Wollemia nobilis in the Heritage Garden in the summer months. Trees in the wild population are believed to be closely related to one another. As a result, any seeds they produce have a low level of viability. Only 6 percent or fewer go on to become healthy, mature trees. The species is listed as critically endangered. The urgency to save the pines is accelerated by changes in climate. Their mountain home is experiencing increasingly hotter and drier weather than ever before. 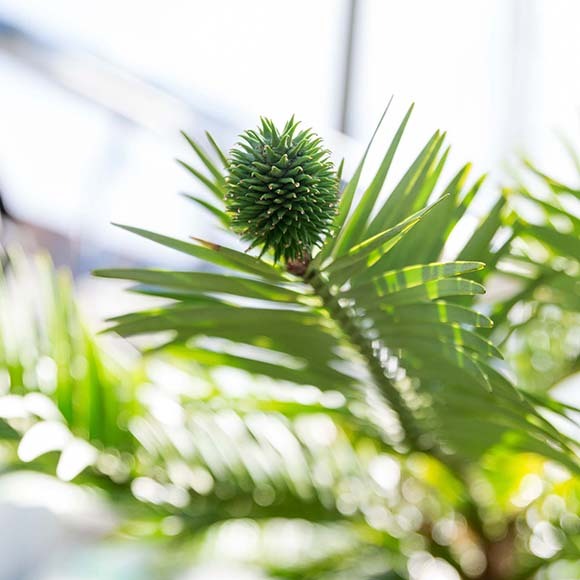 The horticultural team also takes the cone production as validation that they are meeting the plant’s very particular growing requirements. The Garden’s Wollemia pine spends its summers in the Australia bed of the Heritage Garden. Tankersley anticipates that it will be back on display this June.